Take the headache out of grooming your pet with a power-packed Pro-Animal clipper kit from Andis. 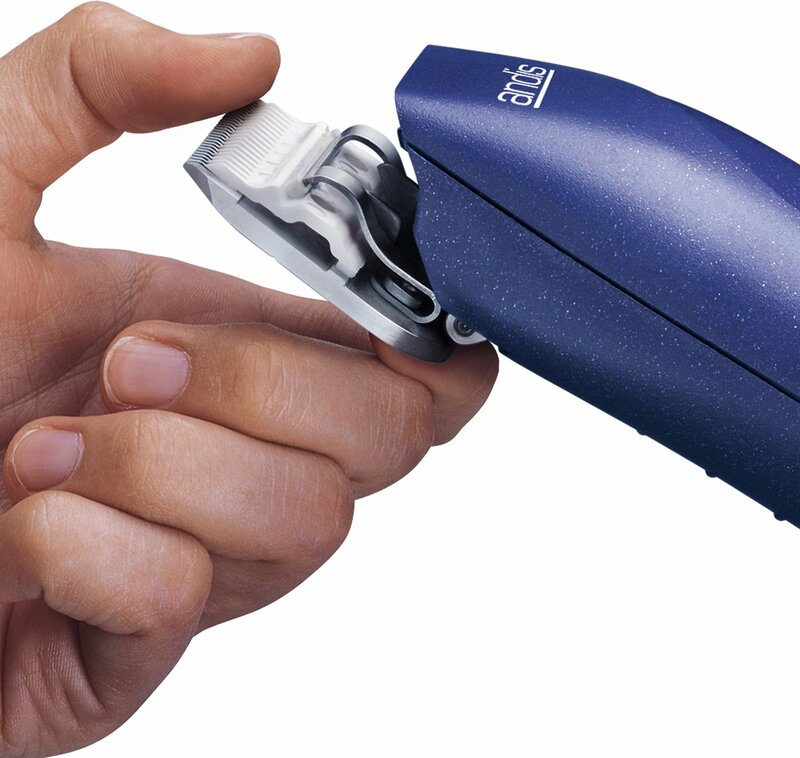 This heavy-duty clipper was designed to work seamlessly with medium-coated and wire-hair breeds, with one, detachable UltraEdge blade included. What was once a time-consuming chore can easily become a bonding session with your sidekick, safe in the comfort of your own home. Built to be effective and long-lasting, this clipper has a rotary motor capable of a whopping 3,700 cutting strokes per minute. Best of all, the removable blade system offers a variety of length options and works with all UltraEdge and CeramicEdge blades. It's the versatile system you've been waiting for! Powerful rotary motor cuts through thick, stubborn pet coats. Detachable size 10 ceramic blade and included blade oil makes cleaning and maintenance a snap. Heavy-duty and break-resistant housing provides long-lasting and reliable performance for years to come. Included blade can easily and quickly be replaced with any available UltraEdge or CeramicEdge blades. Pliable 12-inch cord, four different comb attachments, and a durable storage case offers added mobility and flexibility. Durable Hard Case, (4) Attachment Combs (Sizes 1/8”, 1/4”, 3/8”, 1/2”), Blade Oil. Grooming Prep: Make sure your pet is healthy and ready for grooming! Before any clipping or trimming is started, your pet must be bathed, dried and brushed. This will ensure both you and your pet have a happy grooming experience and you will get the best results out of your Andis clipper or trimmer. Tip: For pets new to grooming with a clipper or trimmer, gently get them used to the noise of the tool with it turned on but not touching the pet. Once they are used to the noise, gently lay it against the pet with the blade pointing up and not cutting anything; you can also slowly rub it against their body or face. Eventually your pet will get used to the new grooming tool and both you and your pet will have an enjoyable grooming experience. Basic Maintenance of your Andis Clippers & Trimmers: 1. Turn off the tool. Clean out loose debris with a blade brush. Turn the tool on. Use Andis Cool Care Plus® spray to clean and cool the blade. Turn off the tool and wipe off excess residue. Turn on the tool and apply 5 drops of Andis Blade Oil to the blade: Place 3 drops across the front teeth and 1 drop at each inside rear corner of the blade. Slightly tilt the clipper or trimmer to the side, allowing the oil to run off onto a towel. Run the clipper for approximately 10 seconds, then turn it off and wipe off any remaining oil. Note – If you continue to notice a decrease in performance after cleaning and oiling, please consult your Andis use & care manual. I use the clippers on my animals very month, and they start off great, but the clipper blades get very hot after about 5 minutes. I can`t use guards due to the thick, dense coats of my cat and dogs. These clippers worked very good on are cocker spaniels. I highly recommend them.